Tu chahiye song from Bajrangi Bhaijaan sung by Atif Aslam with the music composition of Pritam. Lyrics were penned by Amitabh Bhattacharya. 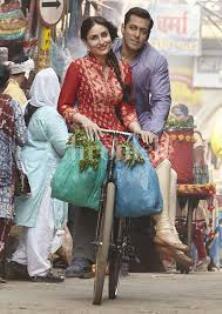 Tu chahiye song is a romantic song starring Salman Khan, Kareena Kapoor. Bajrangi Bhaijaan (2015) is an Indian comedy-drama film scripted by V.Vijayendra Prasad, directed by Kabir Khan. The film is produced by Salman Khan & Venkatesh Rockline. Bajrangi Bhaijaan was released on 17th July 2015 in Hindi\Urdu languages.